For Langley Esquire, a blog post by yours truly -- "Feeling Festive" -- on the Yasukuni Autumn Festival and the prospects for a repeat of Abe Shinzo's sanpai sometime before December 27. Surprisingly, Minister of Internal Affairs and Communications Takaichi Sanae did not take part in the mass 110 Diet member assault upon the halls of Yasukuni Shrine today. Her traditional spot in the troika of marching solons seem to have been snapped up by Aizawa Ichiro (Link) who with his 9 elections to the Diet is the most experienced LDP Diet member to have never been a Cabinet minister. 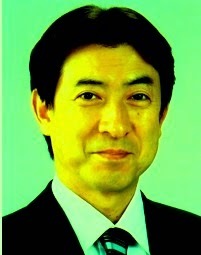 That his fellow classmate in the first graduating class of the Matsushita Institute of Management and Goverment (Minister Takaichi is one of the Institute's few female grads) Democratic Party member Noda Yoshihiko has already been prime minister must make Aizawa's status of eternal bridesmaid even more galling. Nothing can fluff up an appeal for a cabinet post like a front row appearance at Yasukuni, I guess. Takaichi's not showing up on for the march does not mean she has abandoned her pattern of jut-jawed Yasukuni visits. The Autumn Festival lasts until the 20th so she still has plenty of time to tuck in her promised visit. What will be interesting will be to see whether other Cabinet ministers pay their respects at Yasukuni over the weekend. I am still holding out hope that Women's Empowerment Minister Arimura Haruko (A.K.A. "the McDonald's lady") will show up. Come on, Admiral Togo Heihachiro is one of Arimura's ancestors. Despite the international fascination of Yasukuni, the struggles of Minister of Economics, Trade and Industry Obuchi Yuko's with allegations of multiple small violations of public campaign finance laws and political funds laws (Link) is the focus of the domestic news media attention right now, to the exclusion of much else. So it is deja vu all over again in Japan Political News Reporting. Obuchi Yuko's position has seemingly grown untenable, with the mid-careers in the party calling for her resignation (Link - J). That her parentage and cuteness allowed her to vault to the head of the line in ministerial appointments among her peers did not cause any resentment among those left bereft. None at all. A spectacular, flaming failure of the Nukaga Faction's marquee appointment to the reshuffled Abe Cabinet 2.0 will shake the faction to the core. 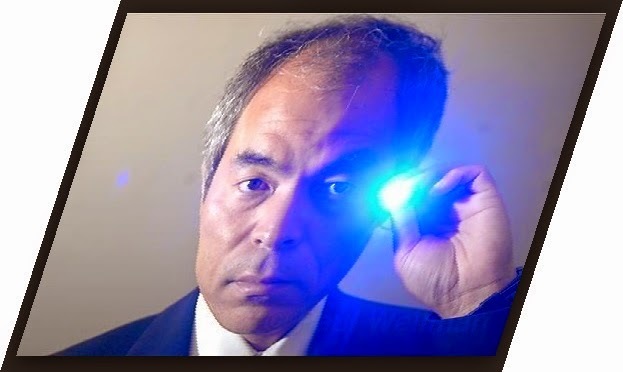 The Nukaga faction's accomodation with the Machimura superfaction contributed to former Health, Welfare and Labour Minister Tamura Norihisa's and former House of Councillor Diet Affairs Chair Waki Masashi's decisions to turn in their faction badges. The sudden shuddering halt to the rise of the faction's princess, whom intemperate voices were proclaiming the "next prime minister after Abe but one" and "the favorite to be the first female prime minister of Japan" after the reshuffle, will very likely lead to further defections -- maybe even the faction's complete breakdown. "'Abenomics', un programme qui rate ca cible"
What offends in the Abe Administration's approach to the Third Arrow is the absence of maths. In June, for example, we had 230+ ideas flung at us without the least estimate of the economic or budgetary consequences of the proposed actions. Unconscionable. From time to time publishers and friends have passed books on to me in the hopes that I will review them. This I have failed to do, to my shame. Here is a first attempt at what I hope will become a regular Shisaku feature. One of my great joys in visiting historical museums or leafing through historical texts is the chance to revel in the photographic images therein. Seeing the images of long ago persons and places, some familiar, most not, strikes the heart in ways no text can. It was not until my receipt of Terry Bennett's 2006 lavishly illustrated study Photography in Japan: 1853-1912 that I gave much thought as what was going on behind the lens. Bennett's book tries to fill this void. He describes in details gleaned from newspaper archives and the secondary literature the colorful lives of the persons who brought a new technology of mechanically manufactured images to a country with a rich tradition of hand crafted, mass-printed images -- and more often than not, with an attitude. For a Northern Californian like myself, the story of Jack London's brief and megalomanic turn as a photographer and war correspondent, making an utter nuisance of himself as he tried to cover the Russo-Japanese War, is splash of cold water on a revered (Link) figure. The true joys of the book are, of course, the photo images themselves. There 350 of them, many which have been published nowhere else. For the resident of Japan such as myself, there is a vicarious thrill of seeing images of a places retaining the contours they had in the last years of the Tokugawa. More often, however, is the astonishment as to how much has been lost, never to be seen again (the beach at Sankeien) except in black and white and two dimensions. Bennett's goal main goal, as he states in the preface, is to illuminate the photos through the personal histories of their producers. Some of the photographers introduced-- Raimund von Stillfried-Ratenizcs, the mysterious Yamamoto, Enami Tamotsu, William Burton -- are clearly geniuses. They deserve separate books of just their reproduced images. Bennett, however, introduces even the less skilled or artistic with equal vigor, if the photographer's contributions to the visual history of Japan merits notice. This last point, however, highlights the book's major weakness: it is not what the title promises. 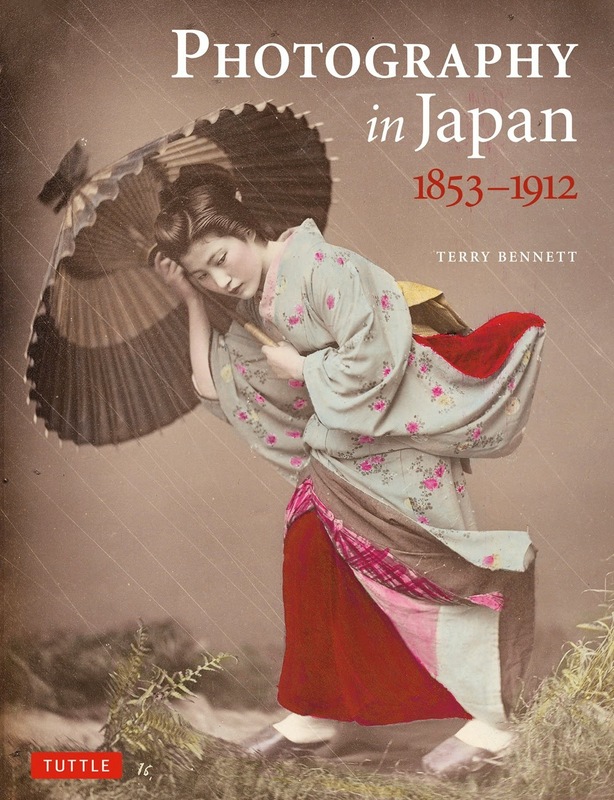 What Bennett has produced is not an account of "photography in Japan" in the Bakumatsu and Meiji eras. It is instead a study of "photographers in Japan" during those eras. The section on the various technological and logistical hurdles inherent in producing and storing the images on display -- from daguerreotypes to ambrotypes to wet plate to dry plate and albumen paper -- should be in the main body of the text, not relegated to an appendix. Virtually nothing is written about how photographs were consumed, particularly by the mass media and news organizations. From the use of now archaic technical terms ("cartes de visite," "souvenir albums") we are to understand the photos were bought directly from the studios by final consumers -- tourists, business persons and diplomats -- without explanation as to how these consumption patterns affected or failed to affect prevailing global views of Japan. “When considering early images, we should try hard to identify the photographers and learn something about their backgrounds." the reader is left to wonder to whom it is the author thinks he is speaking. The section in the Preface on how hard it is to attain proficiency in the Japanese language is embarrassing and should never have appeared in a book published by a house so readily and intimately identified with books on Japan. These flaws of judgment are insufficient to put a big dent in the book's appeal, however. I for one am glad that now, when I see the watermark or logo of a long-disappeared studio owner on an ancient image of a man in lacquered armor, a diplomatic mission or a view of Nikko, I can pull Bennett's book out of my bookshelf and find out about the human who stood behind a wooden and metal box, in a haze of inebriating and sometimes exploding chemicals, urging this subjects a century and a half ago in Japan, "OK, now. Please stand still."